This entry was contributed by Leisha DeHart-Davis on August 18, 2016 at 9:27 am and is filed under Leadership Development, Organizational and Personal Leadership, Tools and Practices. How can local governments create gender-inclusive workplaces? This is an important question given substantial evidence that gender-balanced leadership makes for more effective organizations. Yet women are still woefully underrepresented in the senior ranks of America’s cities and counties. As a result, local government organizations need to be intentional in pursuing gender inclusivity. Gender mainstreaming is one strategy for doing so. The idea came from the United Nations Fourth World Conference on Women in Beijing in 1995, when representatives from 189 nations came together to strategize about how best to elevate the status of women around the globe. (Think domestic violence protections, inheritance rights and reproductive health). Gender Representation: Both women and men are at the table of local government decision-making, whether on citizen advisory groups, executive-level search committees, or senior management teams. To illustrate, is your police chief planning to retire in a few years? Start thinking now about how to recruit a gender-diverse applicant pool. And don’t say it can’t be done. In North Carolina alone, four major police forces –Raleigh, Durham, Morrisville and North Carolina Central University — all have female police chiefs. 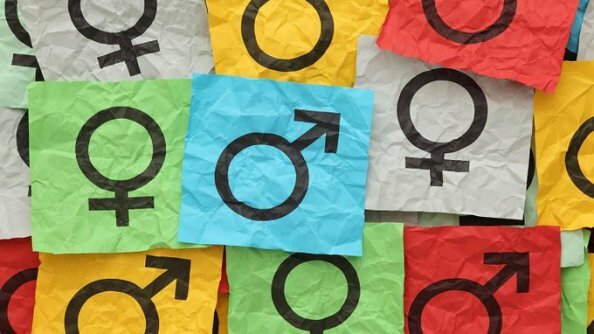 Gender Commitment: Local governments should commit to gender inclusion in writing, whether in the mission statement, diversity philosophy, or hiring guidelines. This means more than just referencing being an EEOC employer, which is more of a legal statement anyway. It means spelling out a commitment to gender diversity, including the underlying rationale and values, on your website, in orientation materials and employee newsletters. Then walking the walk, offering flexible work schedules, emphasizing work-life balance, and ensuring that career opportunities are equally available to men and women. We will know that gender mainstreaming works when gender balanced local government is considered normal and legitimate, by citizens, elected officials and employees. Local government has a long way to go, but gender mainstreaming is a practical and feasible tool for getting there. Leisha DeHart-Davis joined the School of Government in May 2012. Previously, she was a faculty member with the University of Kansas School of Public Affairs and Administration. DeHart-Davis holds a PhD in public policy from the Georgia Institute of Technology.